Welcome to the highly desirable Bayridge Community. Terrific entry point into an exclusive Newport Beach community. Coastal elegant living in this Cape Cod elegant beauty with close proximity to Fashion Island, Rogerâs Garden and the walking trails of Newport Beach Back Bay. 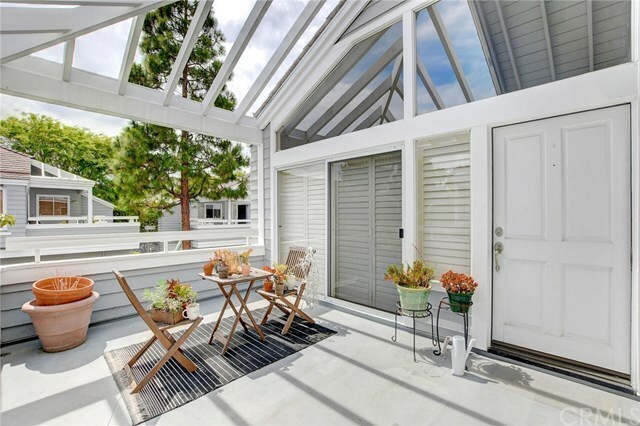 Enjoy the ocean breezes from your upstairs spacious patio. This modernized and upgraded home features vaulted ceilings and large windows to give that airy, relaxing feeling. Kitchen features light and bright finishes, refrigerator, dishwasher and wine keeper. Bathroom has great flair added with Waterworks fixtures, porcelain sink and standing cabinet. Stacked washer/dryer inside the home. Master bedroom with generous closet space. Enjoy the luxury of this gated community featuring a pool, spa, and mature landscaping including a magnolia tree that welcomes you home.